These are the sterling professional credentials that continue to attract a diverse personal injury and criminal law clientele to the proven skills and aggressive advocacy for which Michael Jay Green has become so well-known on the islands and throughout the United States. Since the 1980s, Michael Jay Green has become associated with positive outcomes in high-profile cases and attention-getting appearances on such major media programs as "20/20" and "60 Minutes" and in national publications such as Sports Illustrated magazine. This track record is proof-positive that Mr. Green and his skilled staff of associate attorneys can help you, too — most notably when catastrophic injuries and wrongful deaths result from serious accidents and medical negligence. Our law firm applies this same determination, diligence and dedication to achieving favorable results in compelling criminal law cases as well. We urge you to contact our knowledgeable, client-focused lawyers if you have been injured or arrested in Hawaii. 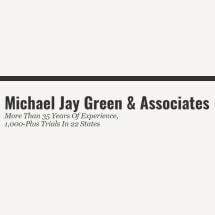 Your initial consultation with the Law Offices of Michael Jay Green is free of charge.